The Connecticut Supreme Court has issued a verdict on the Hartford’s appeal of Artie’s Auto Body, Inc. et al v. The Hartford Fire Insurance Company, reversing a $34.7 million judgment against the insurer in a class-action suit initiated by a group of over 1,500 Connecticut collision shops. 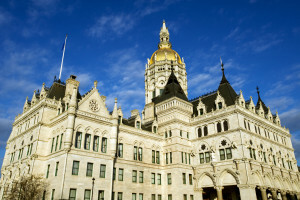 The case, which was initially decided in 2009 in favor of a class-action group of Connecticut collision shop plaintiffs with an award of $14.7 million, alleged that the Hartford violated the CUTPA through engaging in deceptive practices regarding the insurer’s promotion of its DRP program to policyholders, including wrongful steering of claimants to Hartford-preferred shops, and attempts to establish an artificially low standard of labor rates in damage appraisals. Superior Court Judge Trial Referee Alfred Jennings then hit the insurer with an additional $20 million in punitive damages in 2013, following a jury’s conclusion that the Hartford was engaging in unfair business practices by using in-house appraisers and DRP network shops to suppress labor rates paid in the state. The Hartford’s appeal, which went before the Supreme Court in January, claimed that the court should have used Federal Trade Commission guidelines meant to replace the “cigarette rule,” that liability could be determined due to the vagueness of the law itself (known as a “prenumbra”), and that the court “abused its discretion” in its $20 million punitive damages award. Repairer Driven News will be analyzing the details of this judgment to provide further details on the decision throughout the week. Stay tuned for developments and updates as this story continues to unfold.